If you just can't resist a red lipstick, then hear this: the season's biggest beauty news is the huge comeback of the scarlet lip.You'll see it trending on fashion runways, magazine shoots, red carpet events and on celebrity lips everywhere! 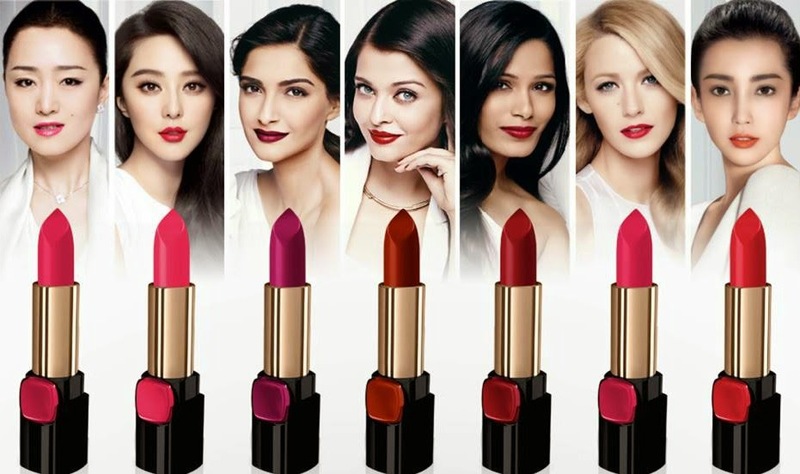 A pop of bold, bright red on the mouth is a great way to update a beauty look instantly.L'Oréal Paris's all-new, celebrity-favourite Collection Exclusive Pure Reds range is the season's key beauty accessory to getting this most-wanted look. The Pure Reds collection, which was designed with the brand's celebrities in mind, offers a range of hues in lightweight textures with hydrating effects and rich pigments.Choose from Doutzen's ‘Pure Fire’, Laetitia's ‘Pure Garnet’, Blake's ‘Pure Ruby’, Julianne’s ‘Pure Vermeil’, Freida's ‘Pure Amaranthe’, Liya's ‘Pure Scarlato’, J-Lo's ‘Pure Rouge’ or Eva's ‘Pure Brick’ for romantic to dramatic colours that go from classic to contemporary in luscious, lively shades of berry, brick, ruby, cherry, garnet and more.